Do you need to teach or review Decimals with your students? 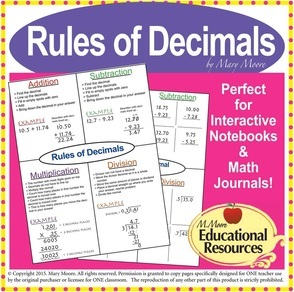 Enjoy a Completely Free Rules of Decimals Lesson! An Excellent Teaching Resource. Perfect for interactive notebooks & more! A wonderful review resource or teaching lesson on decimal operations ​for Grades 5 through Grade 8. Learn more & read what other educators have to say about this FREEBIE! ​- BEDMAS - Printable & More! ﻿Perfect for interactive notebooks. 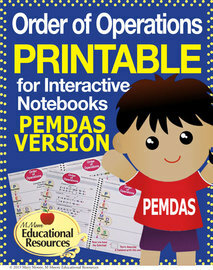 This is an excellent resource for teaching order of operations! Click on the rating on this product to see what other educators who've downloaded the freebie have to say! ​Get credit on more purchases when you leave feedback! ​- PEMDAS - Printable & More! 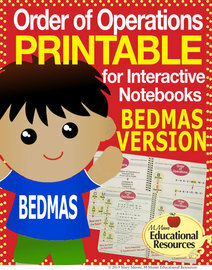 This wonderful printable includes wonderful notes, guided notes, & problems on PEMDAS! ​Don't forget you get credit on more purchases when you leave feedback! 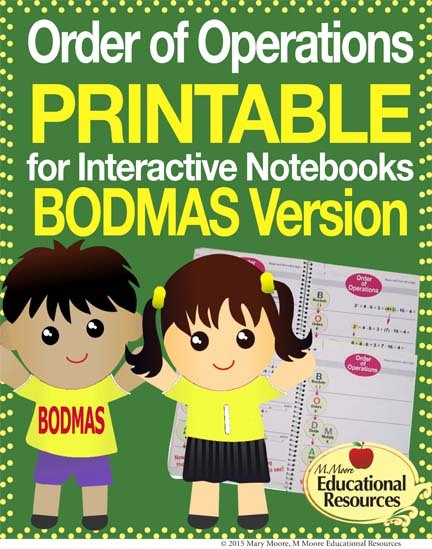 ​- BODMAS - Printable & More! ​- BIDMAS - Printable & More! 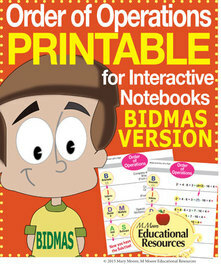 This wonderful printable includes wonderful notes, guided notes, & problems on BIDMAS! Don't forget to leave feedback for these Teacher Authors when you get their freebie, it takes many of them much time to offer wonderful products and resources for free to help you save time and educate your learners. ~ Thank you. ​©2015 M Moore Educational Resources, All Rights Reserved. All resources are for one educators use for one classroom. You may repin and share, however, you may not copy, resell, or use any of these resources without express permission by the respective authors. These products are not for commercial use. They may not be posted on other district or other websites, only shared to inform others of these wonderful resources. Please see the full disclaimer. Check out these affiliates. These affiliates, if present, are not necessarily endorsed by M Moore Educational Resources and are sponsored affiliates. By clicking on them you may be redirected to a 3rd party site that is not a part of our site.